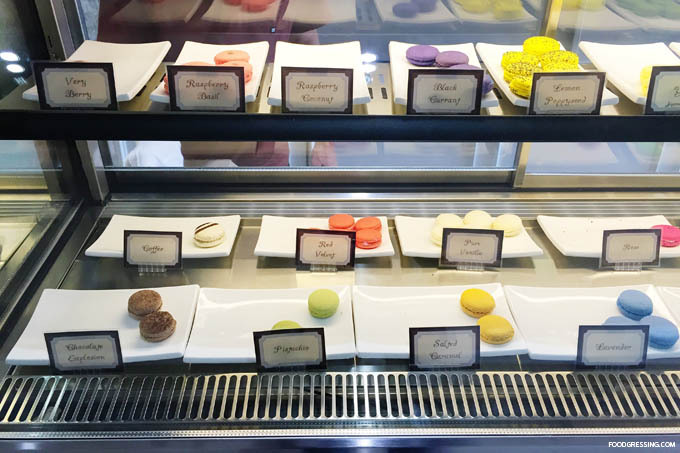 There is a new place in town to satisfy your macaron craving. 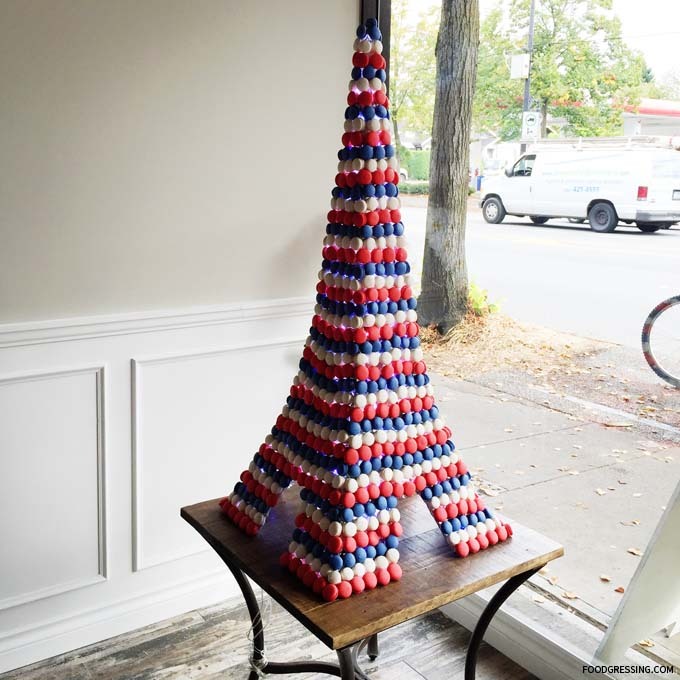 Bon Macaron Patisserie opened its doors this month in Kitsilano and has an impressive 44 macaron flavours, including sweet and savoury ones. 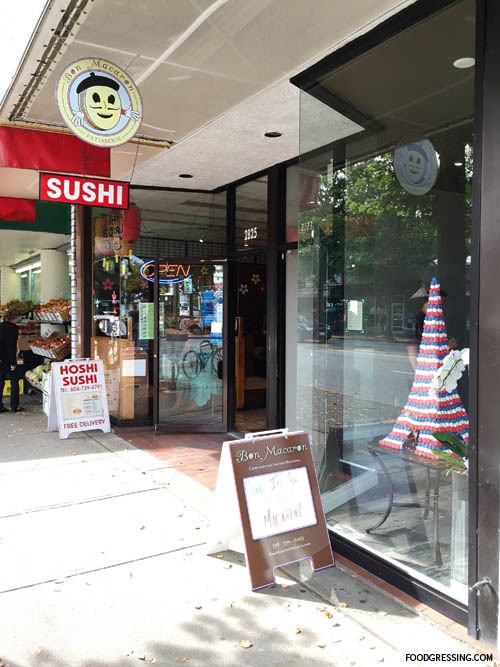 This location is in Kitsilano is their second location, with their original store in Victoria, and a third one opening soon on Granville Island. I heard about Bon Macaron’s opening through social media and went there for some serious macarongressing. With Bon Macaron’s selection of 44 macaron flavours, you’re bound to find the perfect macaron for you. Flavours do change weekly, however, and may not be all available so it is best to check with the store. The owner showed me the unofficial macaron guide which will be printed sometime so that copies will be available in store. 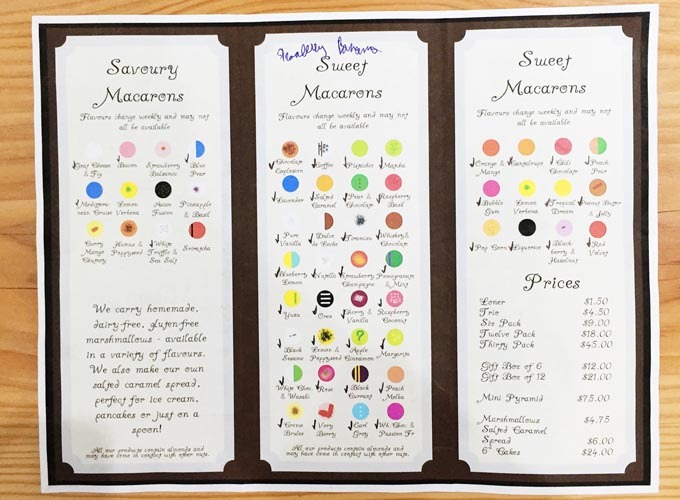 This guide is handy because you can match the macaron appearance to the flavour in case you forget what it was after you leave the store! 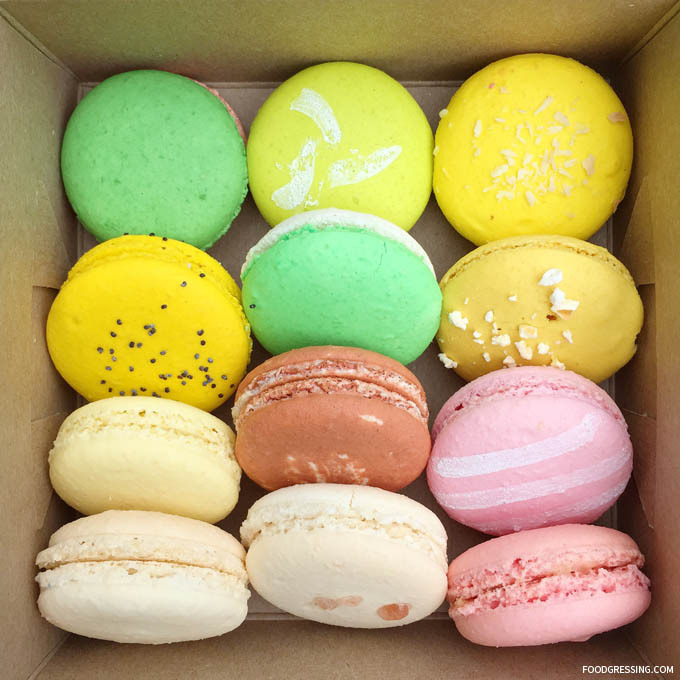 Macarons are $1.50 each plus tax, but there is no tax if you buy 6 or more. You can also have the macarons in a specialty gift box for an extra $3. Bon Macaron also sells macaron pyramids, macaron cakes, flavoured marshmellows and salted caramel spreads. 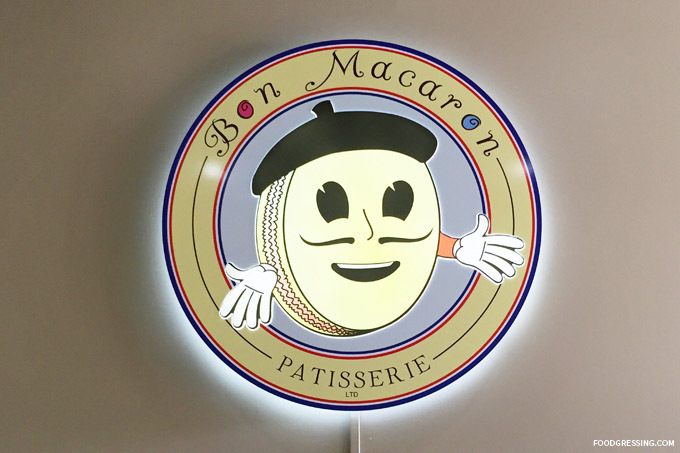 The Bon Macaron store essentially is a store that sells macarons; they are not a cafe and do not serve beverages or have dining tables. When visited their store, they had a promotion where you could try a macaron for free. 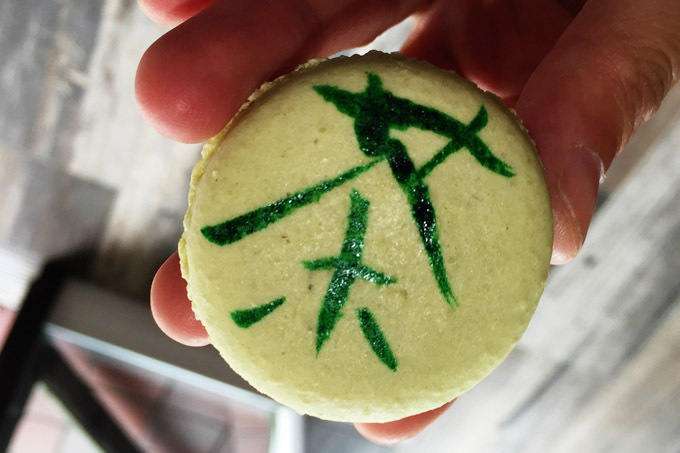 I choose their matcha macaron which had the Chinese/Japanese character for “tea” on it. The matcha flavour was just perfect, and I loved the cool refreshing filling. The owner noted to me that they use real matcha for their macarons (I would not have expected otherwise). I then bought a 12 pack for $18 where each had a different flavour. For the savories, I had the Bacon and Goat Cheese & Fig. For the sweets, I had the Chocolate Explosion, Creme Brulee, Tropical Dream, Peach and Pear, White Chocolate & Wasabi, Margarita, Lemon & Poppyseed, Bubblegum, Pop Corn, Pistacchio. To start, the macarons overall were *so good*: crisp outer shell with soft chewy filling. For the macarons where the flavour was supposed to taste like its name, I think the flavours were essentially right on. The most surprising one was the Bacon macaron which was amusingly pink. The Bubblegum quickly reminded of my childhood love of pink bubblegums, and the Popcorn macaron did taste like a buttery popcorn flavour. The only disappointment was the Chocolate Explosion where the chocolate flavour was too subtle in my opinion. I had not tried savoury macarons before and I was pleasantly delighted by the flavours of the Bacon and Goat Cheese & Fig macarons. There was a bit of sweetness to the bacon flavour. I could definitely taste the saltiness of the goat cheese. I was most eager about trying the White Chocolate & Wasabi macaron. The wasabi flavour was dominant, but still enjoyable. You can also get a loyalty card where you get 1 free six pack after buying 10 six packs. *Edit 09/03 – You can get more information on Bon Macaron’s flavours on their blog post.